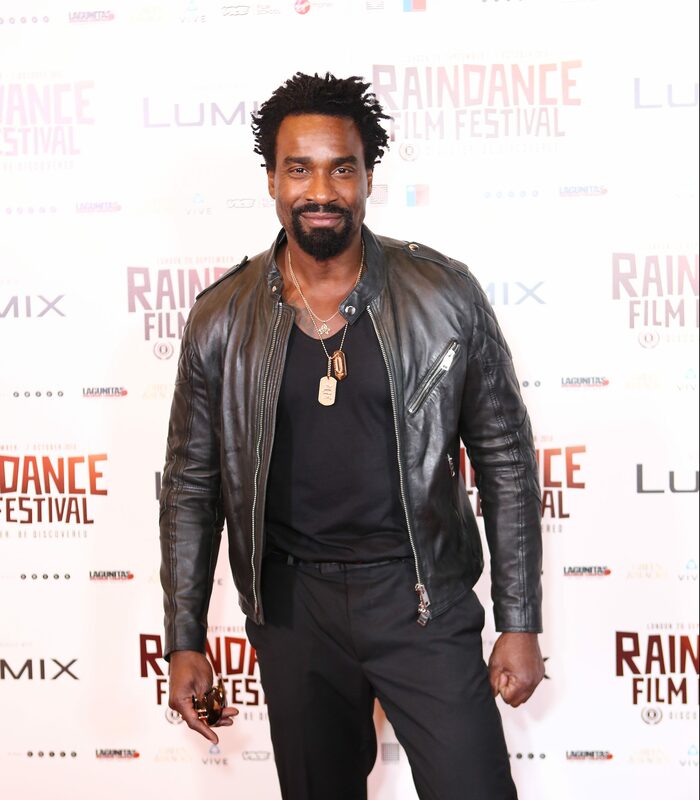 We were lucky enough to catch up with the talented Oris Erhuero at the opening night of the Raindance Film Festival, about his exciting new projects and how he made his way into the film industry. Hi Oris, welcome to Raindance Film Festival. Is it your first time here? Yes, it’s my first time at Raindance. Looking forward to the seeing all the films then? Yeah, we’re also premiering our own film, Redcon-1, so pretty excited about that. Very curious to hear what people think of this movie. Can you tell us a little bit more about Redcon-1? It’s a film that is unapologetic and completely different. It’s a zombie film. It’s Fury meets 28 Days meets The Rave. I lead a very talented squad of missionaries on a mission to find a cure for humanity. Apart from Raindance, are there any other film festivals you’re going to with this movie? Right now, it’s only this festival but I know a lot of people who are already interested in this film. RedCon-1 is screening now in more than 200 cinemas across England. Do you have some more upcoming films apart from this one? Yeah, I have three films but I can’t talk about them. One of them is with an award-winning director. I can say that’s going to be a very big sell and I’m very excited about it. I have another film coming out on Netflix. You’re going to see me around a lot. I’ve been doing this for a long time now but I’m still enjoying it a lot. When and how did you started in the film industry? The first thing I did was a television series in the 90’s called The Adventures of Sinbad. From there, I went into Highlander, into different films, into this whole new adventure. What was it that made you want to become an actor? I was pretty good in drama. I was pushed into it. Despite the fact I avoided it for years as a kid as I went into music and dance. I avoided it so badly that I went to modelling. Through my modelling in Milan and Paris, I got called in by accident for a television show for which I was only supposed to be the guest for the series. After that, I never looked back. One last question: Why do you think that people should come and watch the films here at Raindance? Because it’s different. It’s a film festival that choses the films they want to pick and that they love. Next Post Raindance Film Festival 2018 Juror Interview ~ Ray Winstone: A story that gets to you, that moves you. That’s the kind of movie I like.